~~ I know what you’re thinking… Why in the world were you invited to the City of Bones movie set? Let me tell you, I wondered the same thing at first! 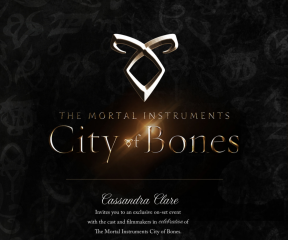 I am a HUGE fan of Cassandra Clare, and The Mortal Instruments were some of TST’s first Book(s) of the Month(s), way back when!